The Genesee Plaza project is a redevelopment of the site that was previously the Sam Dell car dealership, located on the southwest corner of West Genesee and North Geddes Streets. The redevelopment includes the construction of three commercial buildings and a Dunkin Donuts store. 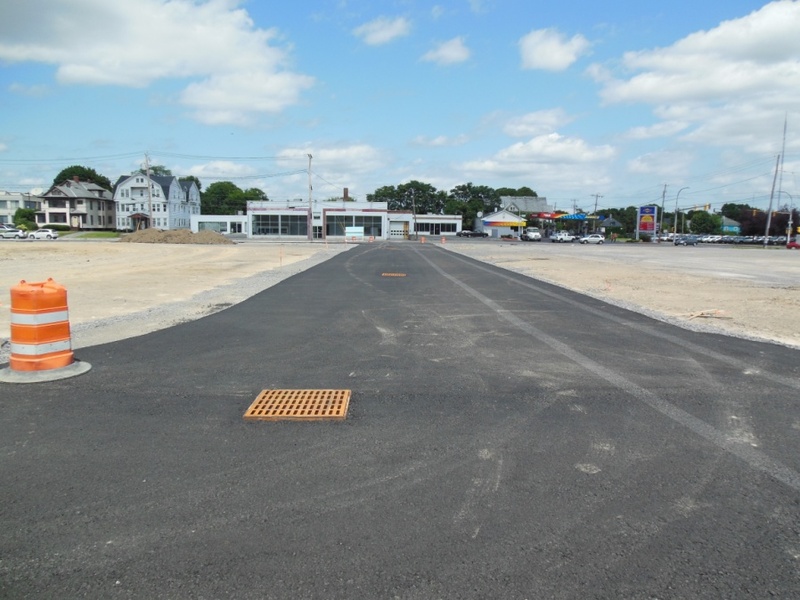 Onondaga County’s Save the Rain Program partnered with the developer through the Green Improvement Fund to install green infrastructure elements in the new parking lot to manage stormwater runoff onsite. 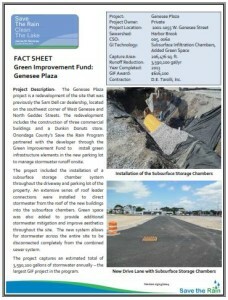 The project included the installation of a subsurface storage chamber system throughout the driveway and parking lot of the property. An extensive series of roof leader connections were installed to direct stormwater from the roof of the new buildings into the subsurface chambers. Green space was also added to provide additional stormwater mitigation and improve aesthetics throughout the site. The new system allows for stormwater across the entire site to be disconnected completely from the combined sewer system. The project captures an estimated total of 3,590,100 gallons of stormwater annually – the largest GIF project in the program.